Can Foursquare for Small Businesses Work for You? Can Foursquare help your small business? The company has announced a new feature that can potentially pay off: Small business owners will now be able to create and build a Foursquare ad. The location-based mobile app's primary function already allows users to "check in" at businesses (or other locations as detected by their phone's GPS function) to share with friends on social media, and to collect points, encouraging them to use the app more when they're out and about. What is Foursquare now offering for small businesses? And bottom line: Should you use it? Small business owners worldwide will now be able to create their own ads on Foursquare -- as long as they meet Federal Trade Commission (FTC) guidelines, of course. How does this differ from advertising on other social media sites like Facebook or Google, though? According to the company, Foursquare plans to take advantage of the app's main service -- location-based check-ins. Merchants will be able to monitor not only how many people click on their ads, but also how many actually visit their store, based on subsequent check-ins. Using these statistics, and other metrics, owners can then set their monthly Foursquare ad budget accordingly. Aside from the new ads function, can Foursquare still be beneficial for your business? Why not? It's a free app allowing any business to create their own page for consumers to check in to. Free exposure. When anyone checks in on Foursquare, their location status will be shared with their other Foursquare friends, and may be shared on Twitter and Facebook as well. These check-ins can create free exposure for your business -- a curious click or two from someone else can lead to a real, live customer. Discount incentives. Business owners are able to create discounts and specials for patrons who check in on their Foursquare page. This creates an incentive for first-time visitors to step in to your business. Repeat customers. Like any other social media app, Foursquare is a good way to garner repeat customers. 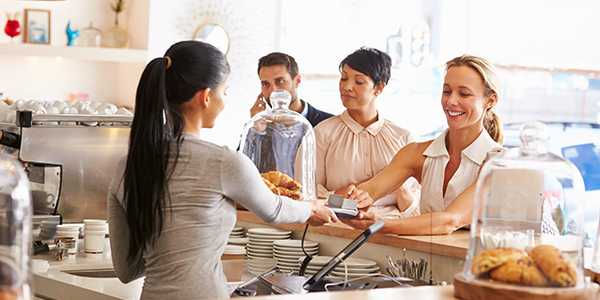 Your customers may be inclined to return if you reward them for more frequent check-ins. This includes the title (and bragging rights) of "Mayor" (i.e., the person with the most check-ins at a particular location) and better deals for those who check in more. Remember, though, to keep a few legal considerations in mind. While consumers will also be able to post comments on your page, Foursquare is only meant to help you bring in genuine reviews, not fake ones. Now, let the check-ins begin!